Sometimes we all need a break from our favorite foods. For us, it's rice. We love rice and could easily eat it everyday as part of every meal. Both my husband and I grew up eating rice this often... but there comes a point where you can have too much of a good thing. So to switch things up a bit, I incorporated other starches into our meals. Pasta was one of those things my husband doesn't care for too often because it can be a bit too heavy. That's when I discovered orzo! I like serving this as a rice substitute and similiar to rice, you can combine it with other ingredients to take on new flavors. Cook the orzo pasta according to package directions with water; drain. 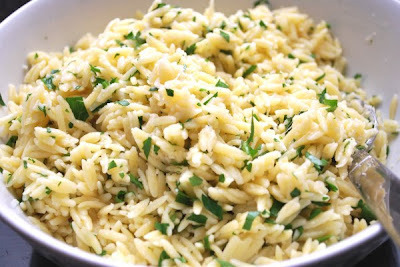 Place the orzo in a large bowl and add the minced garlic and butter. Stir until butter is fully melted. Add the parmesan cheese, parsley and season with salt and pepper to taste. I love recipes like this. So simple, yet so flavorful. We are just the opposite, we love pasta and probably eat to much of it! 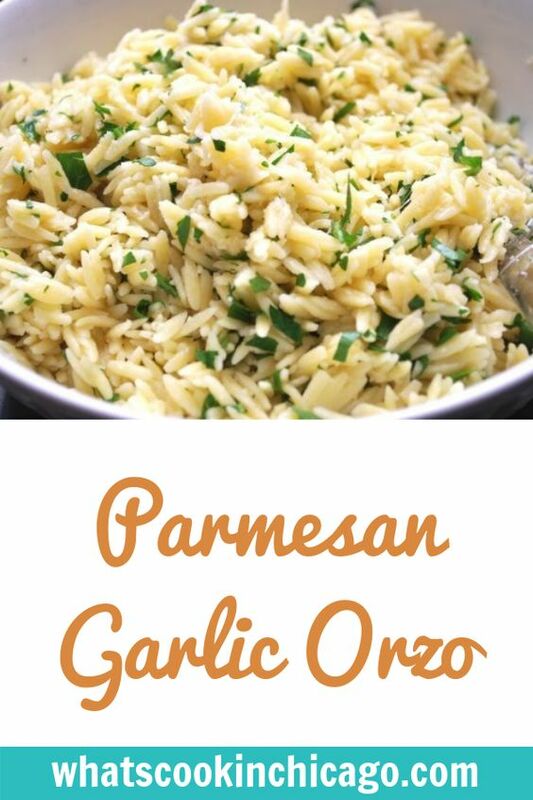 I love orzo, so quick to make and always delicious. Looks great! I introduced my husband to orzo a while back and now he always asks for it! I feel silly asking this, but how much butter do you use? I just found you and your newest fan is in Qatar. Your food looks so homey and I am enough of a cook to recognize a good recipe when I see it-yours are stellar. Can't wait to try this on my boys and get them out of the plain rice/pasta mode. YUM.